Every now and then a puzzle game comes out that takes what’s really good about the genre and adds an extra something to it. What makes a puzzle game really good in the first place? In the case of a classic such as Tetris, it’s precisely that it cuts away all the fat and gives you only an addictive, fast-paced mind-jolt. But sometimes we want more than just good gameplay. For example, when Portal came out in 2007 we saw a great design mechanic met with an even greater world. 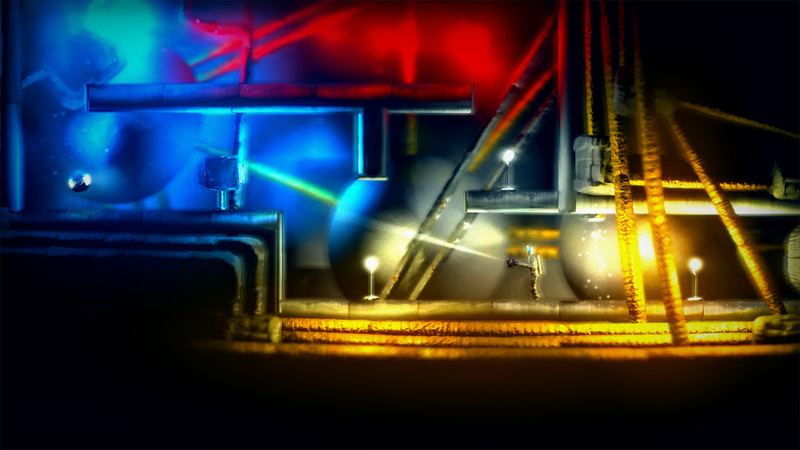 Then there were games, such as Braid, that focused as much on its puzzles as it did on its art design. 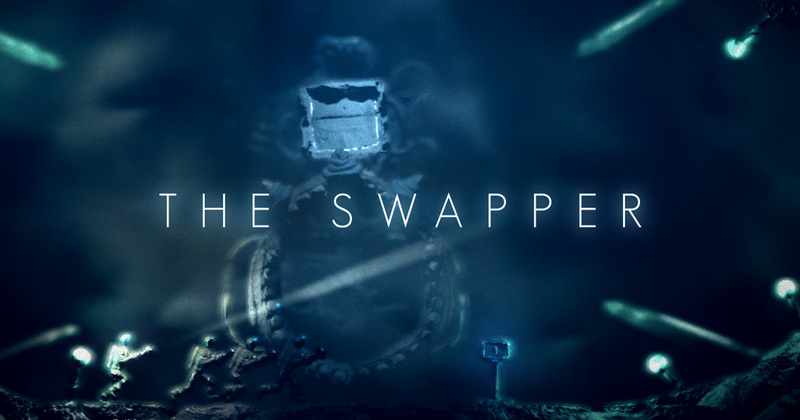 Now, The Swapper has released for the three PlayStation platforms and it is, without a doubt, one of gaming’s great puzzle games. But why? Imagine yourself falling from a height so great that the moment you hit the ground your body would keel over, lifeless, in a heap of flesh. Now imagine that same scenario only to switch your consciousness out at the very last second into a body exactly like the one you were just in. Your body is different, but your mind is the same. Are you the same person? This is the question The Swapper continually asks throughout your journey. The gameplay is relatively simple. You will create clones of yourself and, as you do that, occasionally switch consciousness from one clone to the other in order to obtain various orbs to unlock new areas in a now-defunct space station. As you progress, you encounter a voice asking you questions about the great chain of being-itself. Who are you, what makes you who you are, and when your body dies where does the you that you are go? Questions like these are deeply important and also very present in The Swapper for the sole fact you actually kill off countless versions of yourself in the process of solving puzzles. Again, imagine yourself falling from that height—switching your consciousness from one body to another—and landing as a totally new body. The count racks up as body after body hits the floors of this station. But strangely, you maintain the feeling that you are always you. The actual gameplay is straightforward, yet very effective. 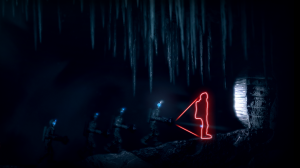 You can create up to four clones of yourself via a sort of light-beam gun. This can basically recreate you and your movements, but allows for no autonomy in the new cloned body until you switch your consciousness from one to the other. The new clones will copy exactly what your base-body does. If you move left, it moves left; if you jump, it jumps. As a result, this a very particular element of the puzzle solving. A typical puzzle will deal with light manipulation and lever pressing. Of course, lever pressing is a been-there-done-that mechanic, yet this time it never feels tired or overdone. Because it is more or less about positioning of the clones, you’ll find that it is deeply satisfying to learn what happens when you move this or that way in your base-body. This becomes increasingly difficult over time as various light beams either block your ability to create a clone or block your ability to swap consciousness’ from one clone to another. As you work around this, you’ll become very familiar with the mechanics in general and it will actually make you think. Aside from the gameplay, the game is stellar from its audio-visual design. Its graphics on both the Vita and the consoles are phenomenal and the sound effects are both spooky and highly effective. There are many scenarios where you won’t hear any music or ambiance but the tip-toeing of your character on the metal grates will ring out with strong vibrations. Everything about it all screams the feeling of being ‘lost in space’ and this is precisely why it is a winner in this regard. The Swapper, to be sure, is not an easy game. In fact, this is what’s so satisfying about it. 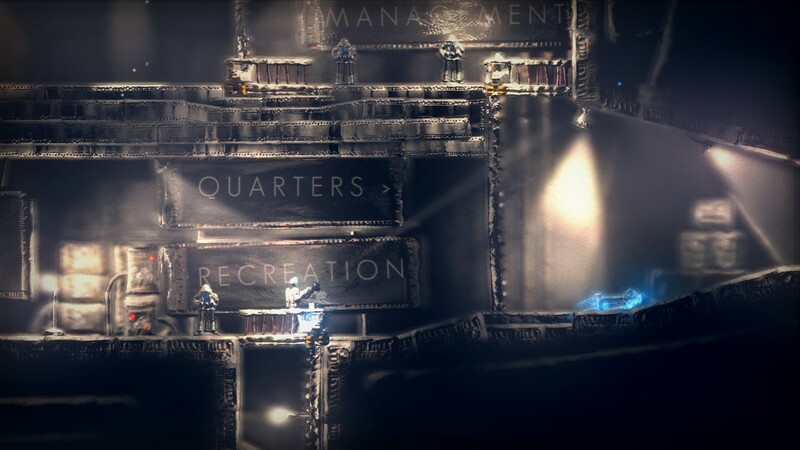 If you knew how to solve all of the puzzles already it might take you around four hours to complete. That’s a good length for a puzzle game. Because it’s not an easy game, it will take you a bit longer than that. If there is one downfall with The Swapper, it is that it is over too soon. The gameplay is brilliant and its setting is so memorable that it’s one of those universes that you really don’t want to leave even when it’s over. There aren’t many good reasons to come back to the game after you’ve beaten it, unless you want to try the puzzles again just for the fun of it. So when it’s done, it’s done. That said, if its only downfall is that it’s too short or there isn’t enough of it, you can probably be pretty certain this a game well worth your time and money. While it was not a huge hit on Steam last year, any time it is on sale would be a good time to purchase it. If you have any of the PlayStation platforms you can also get it on those. It’s a cross-buy purchase for any of the Sony platforms and also cross-save. This means that if you buy it for the Vita, you can play it on the PlayStation 4. It also means that if you’re playing it at the airport you can pick up where you left off on your television when you get home. This is an excellent feature and needs to become standard with cross-buy games. 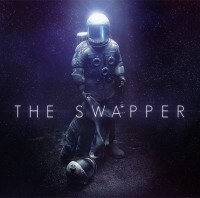 All in all, The Swapper is an excellent game well worth the entry fee. It is one of those games that will resonate with you after you turn it off and makes you want to keep playing it whenever you aren’t. Hopefully its newfound home on the PlayStation network will grant it the success it deserves and open it up to the potential of more content, sequels, or something else in this eerie and memorable universe. It asks all the right philosophical questions about mortality and what it means to actually be a human being. So few games even attempt this, let alone succeed at it when they try. Played on both PlayStation 4 and Vita utilizing cross-save and cloud sync.